Ageing population in Singapore: A Looming Triple Whammy? 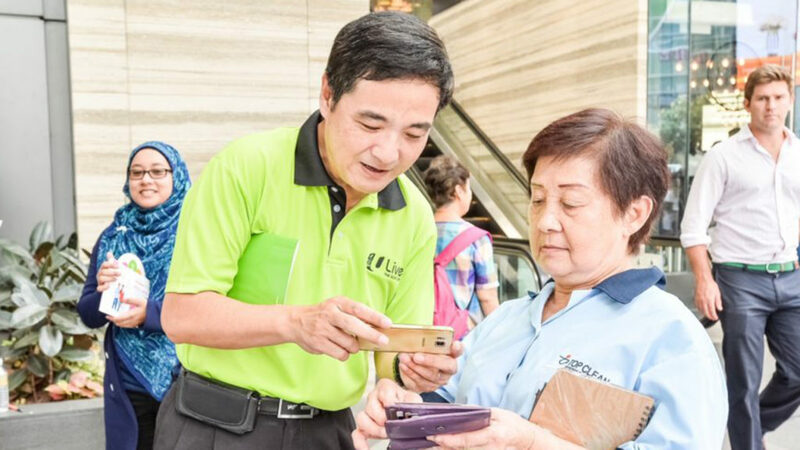 For the past several years, the Government, through the National Trades Union Congress (NTUC) and Singapore National Employers Federation, has been promoting its WorkPro programme. 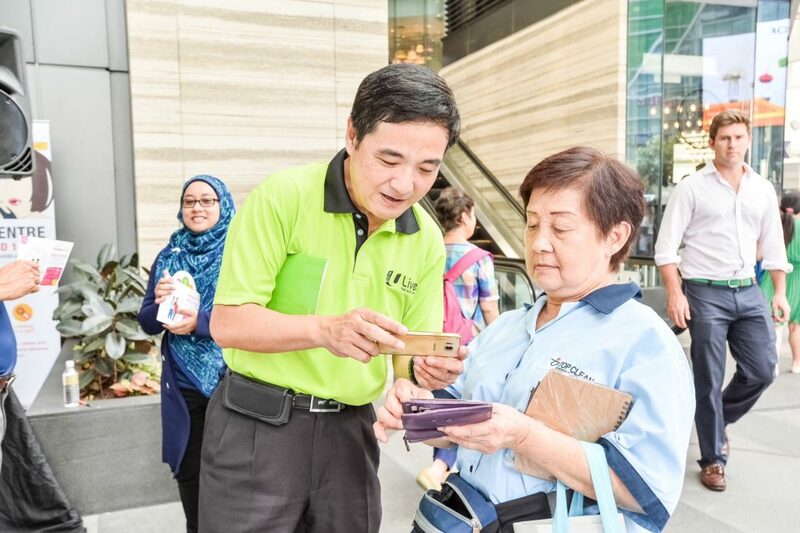 Under this programme, companies are given incentives and help to redesign their work processes and jobs, and harness technology that would make both work and workplace more age-universal. This will help older workers upgrade, stay employed and continue to make meaningful contributions. One such company is Teck Leong Metals Pte Ltd – a small and medium-sized enterprise whose business is in the trading of hardware and engineering metals. At Teck Leong Metals, about half of the company’s workers are above 50 years old. Recognising that the workers are the foundation of the company and the wealth of invaluable experience that their older employees can bring to the table, the company implemented a new automated system to make jobs easier, safer and smarter. Previously, workers had to manually load metal beams onto a machine which has an exposed industrial bench saw. To make measurements and adjustments, workers had to do so below the saw blade. The worker then had to manually engage the saw to cut the metal which was laborious due to the tensile strength of the metal. 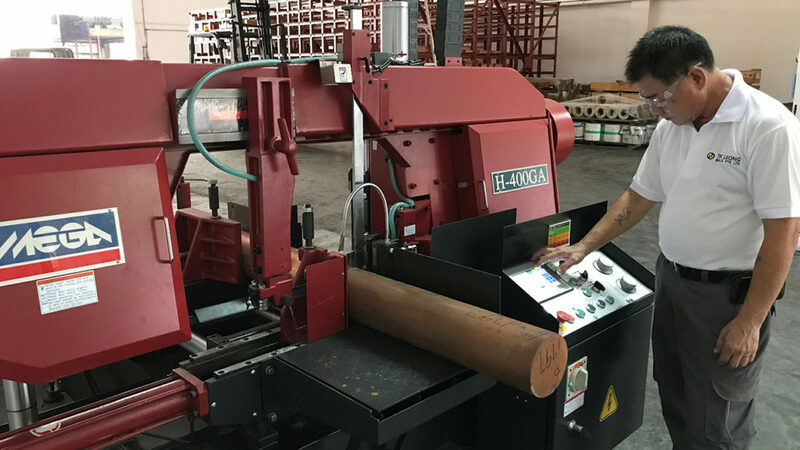 With the new machine, the mature workers need only to load the metal beam, key in the desired dimensions and the machine will automatically measure, adjust and cut the loaded metal without exposing the mature worker to any danger. As the machinery is computer-controlled, exact cuts can be achieved without wastage. This has resulted in a job that is now less physically demanding, with a lower risk of mistakes due to human error, while managing to achieve a greater level of safety. 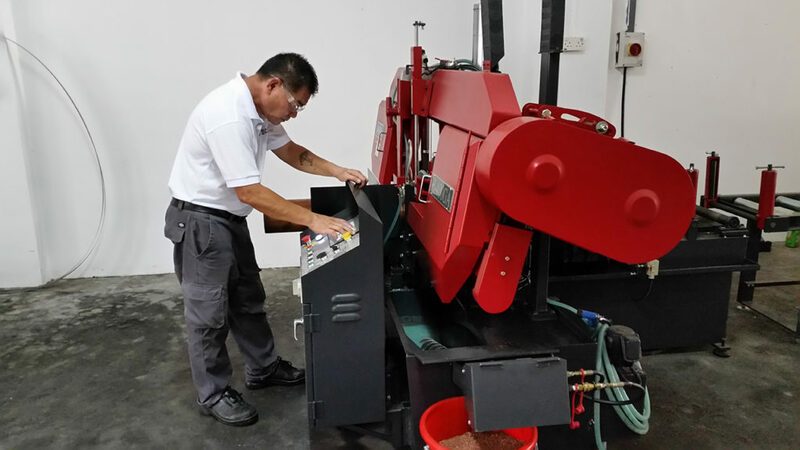 Having undergone training to handle the new equipment, the mature workers are able to confidently contribute to the company with their upgraded skills and higher productivity. The overall workflow is also simplified, making the job much easier. Mr Lee also shared that there was slight resistance at the onset to get them more acquainted with the use of the machine as most of them were used to their old habits. Now, they are slowly getting used to it, although a few sometimes still prefer their trusty old saw blades for small orders. With machine automation, our mature workers will now spend less physical effort for large volume orders. Mr Quek Wee Liap, 63, is currently a Branch Manager with Teck Leong Metals Pte Ltd. He first joined the company 10 years ago as a delivery driver and worked his way up the ranks. He experienced first-hand the challenges of carrying out bundle-cutting for the tubular products. 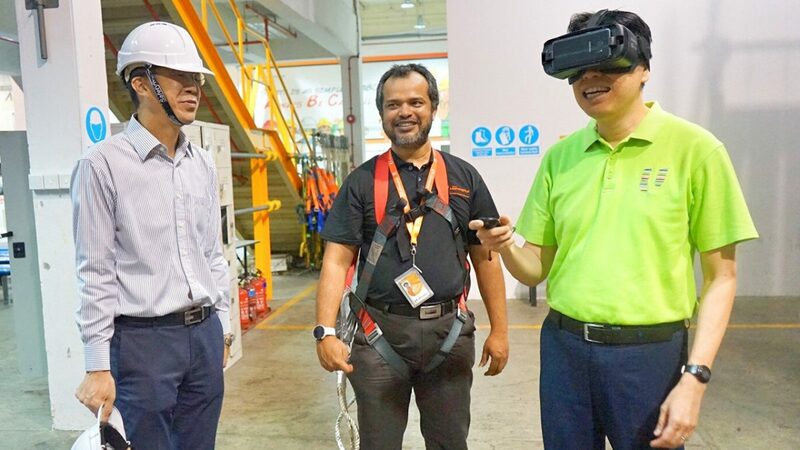 The company said that once the older workers recognised the benefits of automation and how it can help them, they willingly attended training to learn how to use the new equipment and technology. That Singapore has a rapidly ageing population is not news. We have been saying that for years, and have felt its impact on our families, our communities and in our workplaces. This ageing situation is caused by two factors. Firstly, our seniors are living longer and secondly, our fertility rate is low. There are serious consequences associated with how we deal with an ageing population and an ageing workforce. If we do it right, it can be a source of strength. If we get it wrong, we will face a triple whammy. Firstly, companies will find it harder to source and hire younger workers because there will be fewer of them around. This will be compounded by the retirement of older workers. Secondly, in this day and age, older workers will also face disruptive technology like everyone else. Unless they can keep up with the changes, more may find it harder to continue working or to get back to employment if they are displaced. Thirdly, the Government will face a shrinking tax base of younger working age population while at the same time having to spend more to take care of the needs of an ageing citizenry. The pressure to increase taxes to cope is clearly there. There is a way to avoid such a fate. If older workers are supported and encouraged by their companies to continually upgrade their skills to keep up with changes in technology and methods and are themselves motivated to do so, they will remain a viable and sustainable source of valuable manpower. 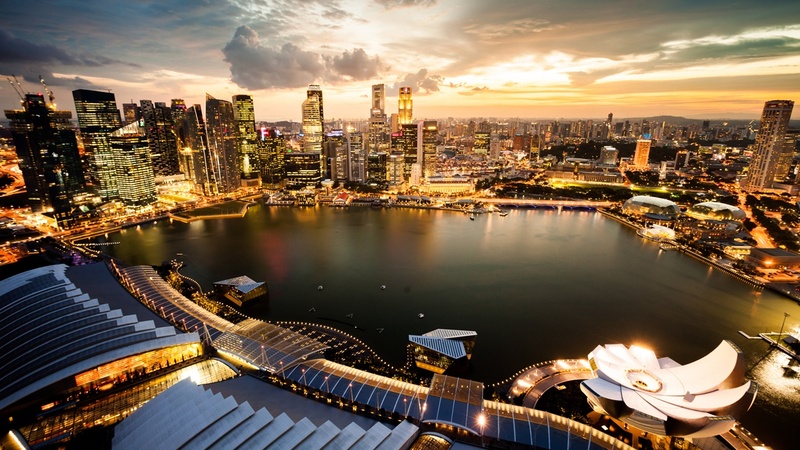 This will not only delay and ameliorate the impact of the triple whammy but instead turn a potential drag into an enduring strength for the older workers, companies and Singapore. Teck Leong Metals is not alone. It is one of 90 companies in 2017 which tapped on the Workpro Job Redesign Grant through NTUC to implement automation so as to bring about a more age-universal, productive and safer workplace. Many other companies should do the same. More than a decade ago, there was a book written by Tichy and Sherman entitled Control Your Destiny or Someone Else Will. The future is for us to create. The future is also for us to mess up. It all depends on the steps that companies and workers take now. This is a post by NTUC Deputy Secretary-General Heng Chee How. Any extracts should be attributed back to the author. 18 January 2018. Next post Is a Job in Blockchain for You?